The country at Dunedin, near Launceston, isn't arable. It's so rough that mustering of cattle and sheep still takes place on horseback, and the back run of the farm is so rocky that it's known as the goat hills. Which only makes the hectare of gardens this property is renowned for all the more remarkable. For Annabel Scott, who moved to Dunedin as a young married woman in the 1970s, gardening has become an addiction. With every year her garden beds have become bigger and better, more diverse, a different colour or style. Gardening gets her up at 5.30 am every day to start the watering, and she is still toiling away in the evening. The Scotts' Gothic revival home is always adorned with freshly picked posies (visitors clamour for the rare breeds raised in her potting shed) and there is homemade, garden-grown elderberry Sambucus wine or syrup on stand-by, should guests pop in. International and national garden tours often include Dunedin in their itineraries, if they are lucky enough to be allowed in. A proper tour of the botanical extravaganza that wraps right around the nineteenth-century homestead takes a good two hours. From the main driveway entrance stretches a bog garden. Here, among the first spectacles are the dramatic Gunnera tinctoria and Gunnera manicata. These giant herbaceous flowering plants, native to South America, have leaves that grow up to two metres long, resemble giant rhubarb and produce large flowering seed heads that resemble corncobs and can weigh up to five kilograms. Below them purple irises bloom, as do Peltiphyllum peltatum, also known as Darmera peltata or umbrella plants. These too thrive in a bog garden environment, growing up to two metres tall and producing bold rugose, or rounded, foliage. The dense, rounded flower heads of white to pink appear in spring. tree fern that can reach heights of six metres, and which here towers over roses and the dainty green bells of Nicotiana langsdorfii (flowering tobacco), contrasted with blazing blue delphiniums. Saunter on past striking Papaver somniferum, or opium poppy. Their fragile pink petals last just a few days, but the glaucous blue pods persist. Providing shade and perfume to the garden tapestry from above is a Catalpa bignonioides, or the Indian bean tree. This may reach heights of up to 25 metres and can be recognised by its large, heart-shaped leaves, white flowers and the (inedible) fruit it produces that resembles slender bean pods. Other trees throughout the garden, all planted by Annabel, include the smaller Styrax japonica, or Japanese snowbell, which produces pendulous white flowers in summer. Then there is a Manglietia insignis, or red lotus, an evergreen tree from China aligned to the magnolia. It produces glossy twenty-centimetre long leaves and fragrant, white magnolia-like flowers in spring. Maple crimson kings line the western side of the Dunedin homestead, their dark crimson leaves deepening to blood-red in summer. There are smaller Eucryphia or leatherwood trees, a Liriodendron or tulip tree, a white flowering chestnut Aesculus, a forest pansy Cercis canadensis, and five different types of elderberry Sambucus. It was with a few trees that this novice gardener started out in the 1970s. At the time, the garden at Dunedin was nothing but a bare paddock surrounded by an old lambertiana hedge, a pin oak and a few elm trees, and twenty-eight depressing macrocarpa pines that were pulled down. The soil was abysmal and, before anything could be planted, the ground had to be poisoned to eliminate all the twitch and grass. So Annabel mapped out her proposed beds with garden hoses, and sprayed the ground within. the second was old jumpers and other clothes. Manure from the shearing shed was piled on top, then newspapers, and lots of pea straw. Mulch and water, says Annabel, are critical to any garden's success. As she started to fill in the garden beds she had created, Annabel joined all manner of gardening groups such as the Heritage Rose Society, the Royal Horticultural Society of England and the US Rock Garden Society, through which seeds and plants were bought by subscription. The Heritage Rose Society alone was the source of 150 different roses. From there developed an interest in perennials, such as Eremurus, or foxtail lily. 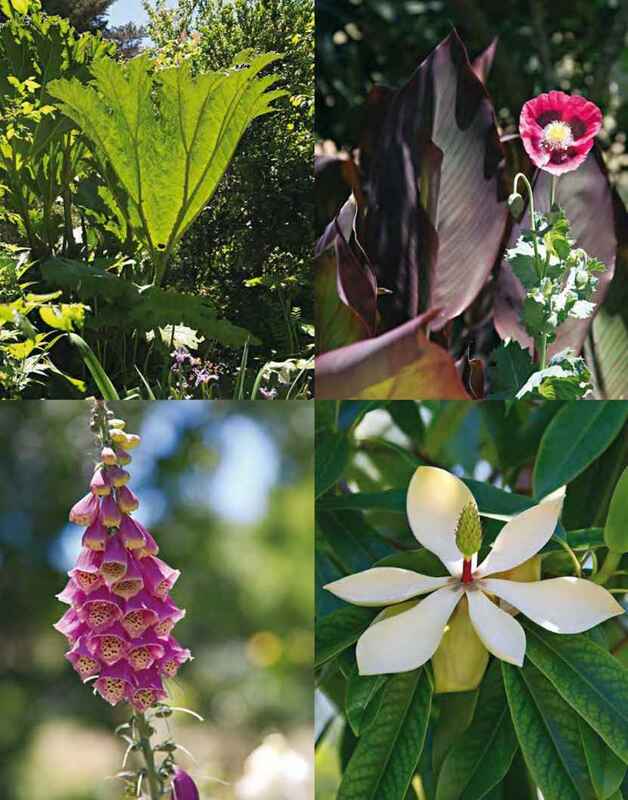 Their tall spikes add height and colour, and many different varieties are grown in this garden. As the trees grew over the years, more woodland plants were added to take advantage of the shade. Annabel grows many different type of Hostas, plants native to the Far East, most species occurring in the damp woodland areas of Japan, and propagates any number of Trillium. She loves the diversity provided by magnificent foliage, particularly variegated leaves that can lift any dark spot. Some favourites are the rare variegated Canna, the Bengal tiger, and the Armoracia rusticana variegata, or variegated horseradish, both imported from America. Twenty varieties of ornamental grasses can be found in the Dunedin gardens, including: Miscanthus sacchariflorus, which can grow two to three metres in a year and forms a wonderful windbreak or screen; Miscanthus variegatus, a variegated grass; and Stipa gigantea, a glorious semi-evergreen grass that can grow to about two metres in height and is adorned with oat-like inflorescences above graceful fountains of foliage. Brugmansia, or angel's trumpet, with small trumpet-shaped flowers, native to South America; and the spectacular golden flowers of Ranunculus cortusiflora. The picking beds boast peonies and climbing sweet peas, to name just a few. Adorning other areas are dahlias, pink lilium, salvias, many different varieties of foxgloves, climbing clematis and a rare Clematis Florida Sieboldii from Japan, flowering Heucheras, and wispy blue Nepeta subsessilis. Sisyrinchium striatum, or satin flower, is old-fashioned but handy, as it will seed itself, and then there are Philadelphus, or mock orange, hybrid Moyesii 'Geranium' roses, bred at the Royal Horticultural Society's home of Wisley, Surrey, in 1938, and hydrangeas from the famous US plant hunter Dan Hinkley. 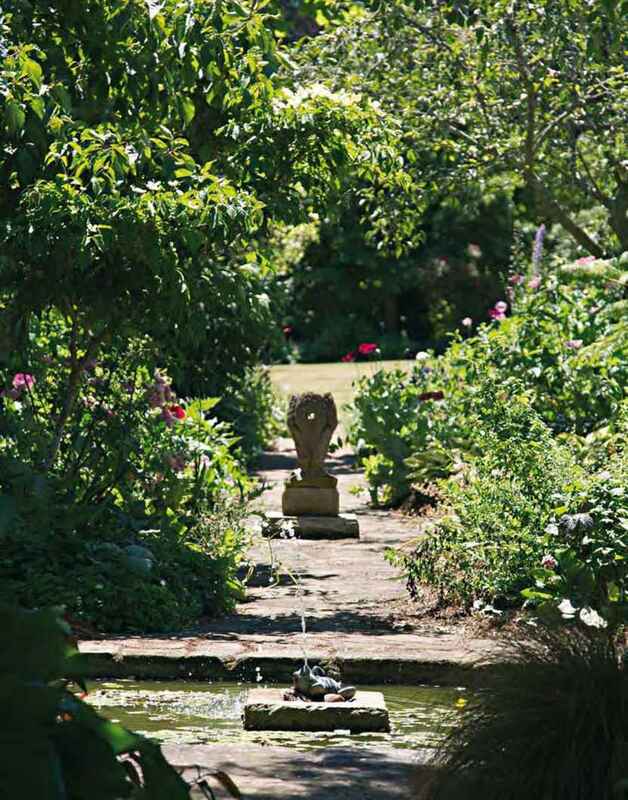 A beautiful paved part of the garden features a sandstone statue carved by Daniel Herbert, of Ross Bridge fame, and there are two other statues, Poppy, who stands ensconced in variegated deutzia, and Pan. 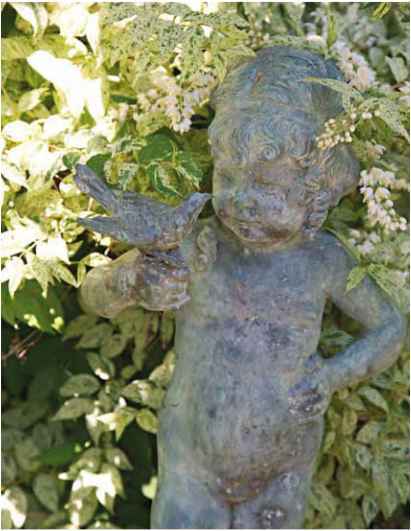 Annabel's advice is to go with one or two beautiful statues—that's all you need. 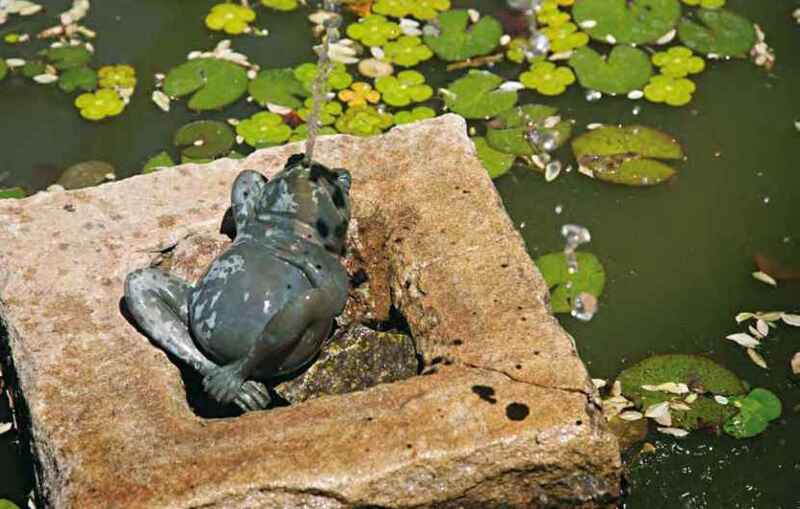 There's also a tranquil fish pond, lined with lilies and boasting a small frog water fountain. While most of the time she's slaving away keeping the gardens weed-free, dynamic and recharged, the garden has relaxation areas for all occasions, and that's a favoured pastime too. Annabel had never gardened before she moved to Dunedin as a young married woman from Hobart— the blind date with Angus Scott arranged by her friends had gone exceptionally well. 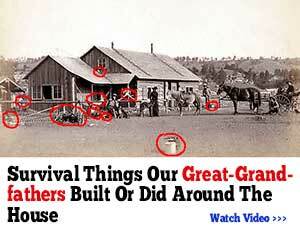 They moved into the old homestead, but it was in poor shape, having been deserted for twelve years. Its aesthetics also were not enhanced by the two-storey enclosed verandah that had been tacked onto the front of the home some decades earlier. Annabel and Angus pulled it down and, to their delight, discovered it had been built entirely of top-quality Huon pine. This they used to furnish a new sunroom, and create benchtops and cupboards for the renovated kitchen. There were six layers of wallpaper that had to be removed from the living areas and the woodwork was stained. The place was so filled with silverfish that one night, not long after she moved in, Annabel had a dream they had eaten the entire staircase. 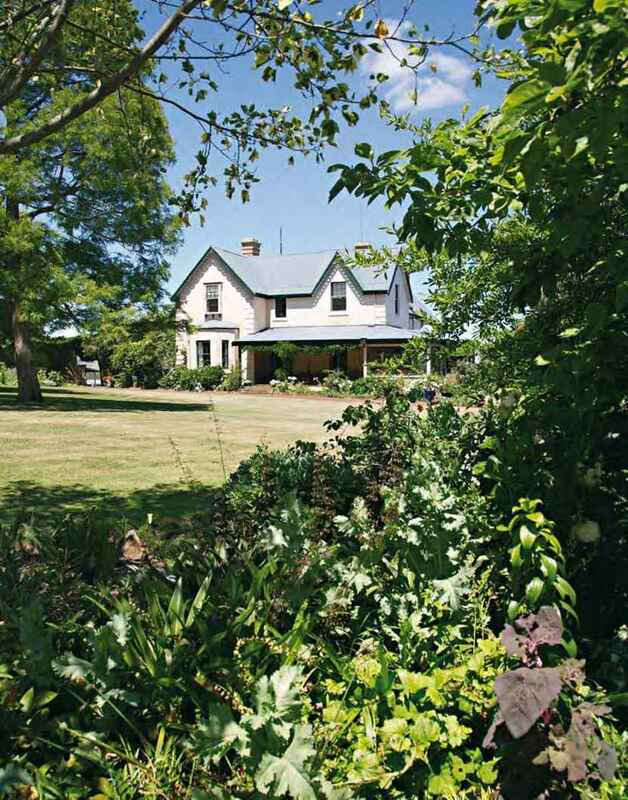 But the homestead was gradually restored, as were outbuildings: a beautiful old dairy was turned into an office, and the stables still come in handy for the horses needed to muster sheep and cattle on this 8000-hectare property. Dunedin homestead was built in about 1858 to replace an original home on the property that burned down. Its owner was Captain Samuel Tulloch, originally from the Shetland Islands. He ran away to sea at the age of twelve, and eventually captained several ships, including the Halcyon, which was a regular packet between Launceston and Adelaide. His daughter Alice married Robert Steele Scott, and one of their eight children, Samuel Tulloch Scott, established himself as a leading breeder of Aberdeen Angus cattle and Merino sheep at Dunedin. Angus is Samuel Scott's grandson. After Annabel's day begins at 5.30 am with the hoses being turned on, there's any number of tasks to attend to, depending on the season, from policing the weeds to pruning, mulching and fertilising. It's a never-ending battle against thistle, oxalis, and native animals, but Annabel has the upper hand. In her potting houses, Annabel propagates rare and unusual plants, transplanting them into the garden when they're established enough, or giving them away. She describes herself as something of a frustrated artist; the flowers are her palette, and the garden her continually evolving canvas. Her three top tips for a successful garden are: doing it for the love of it; focusing on health (of self and plants); and ample quantities of water and mulch. Slice lemons thinly. Place in a jug or large bowl with the flower heads (including as little stalk as possible). Sprinkle with citric acid and sugar and pour boiling water over. Cover with a lid and leave for three days in a cool place, skimming daily. Then bottle it—you can freeze it too.